One thing for sure when you’re staying in the Ratchaprasong area is that you will never go hungry! Renowned for delicious eats, this area has a large number of places where eager food-lovers can explore to their heart’s content. 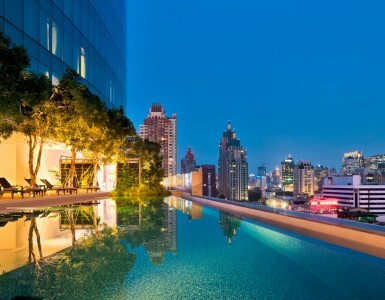 One such Ratchaprasong Bangkok restaurant is located in Novotel Bangkok Platinum Pratunam! At the Square Restaurant on the 6th floor, whether it’s breakfast, lunch or dinner, we’re ready to serve you a meal to remember. Start your day the right way with the smell of fresh-baked bread and aromatic coffee! Available from 6:00 am til 10:00 am, munch your way through a hearty spread that covers continental breakfast mainstays such as eggs your way and sausages, or Asian standards like rice congee. 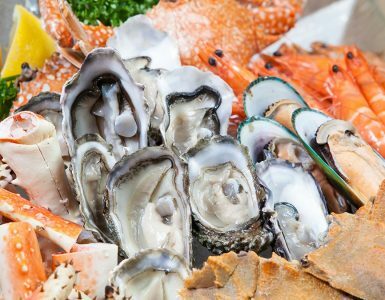 Have lunch with style at our lunch buffet promotion and delight in dishes such as dim sum, fresh from the oven pizza and a tantalizing dessert spread, or celebrate Sunday with the the best seafood buffet in Bangkok during the Seafood Sunday Brunch. Every evening, enjoy our Completely Crab dinner buffet promotion with a variety of delicious crab dishes to enjoy. 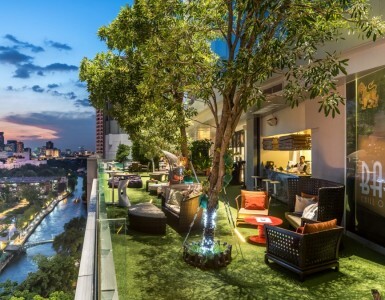 For all these reasons above, it’s clear that if you’re looking for a delicious time in a Ratchaprasong Bangkok restaurant, The Square at Novotel Bangkok Platinum Pratunam is the place for you to be. Even better, enjoy discounts along your choice of meal with select credit cards.